Yes! We ARE wearing pants! 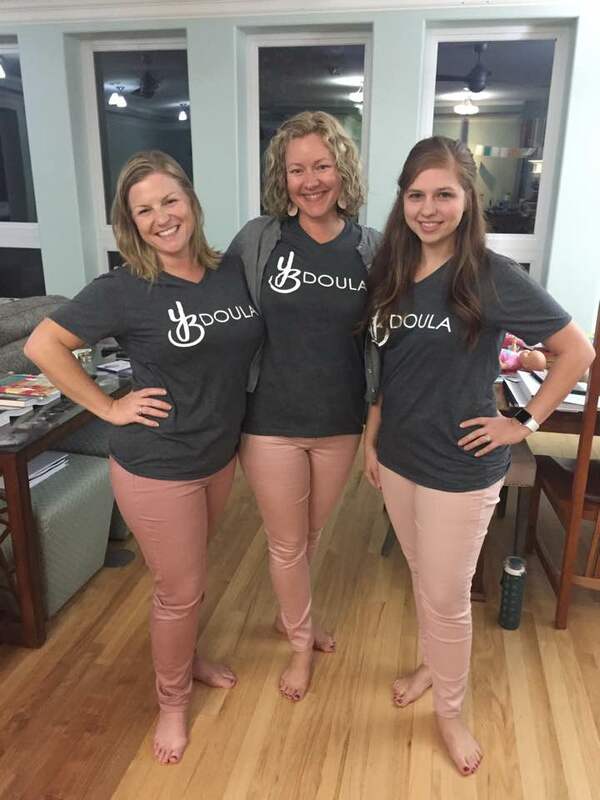 This training empowered the attendees to find their best self through personal growth, so each doula would be able to provide from their own bountiful selves. This is the type of training that every human should attend - not just doulas. But doulas should totally attend too. You'll forever be thankful you did. The best news for you, apart from having access to highly emotional intelligent doulas, are two new classes for you! Your Baby Experience and Your Breastfeeding Experience are available either individually or when purchased together with the Your Birth Experience class, at a special price for all three. These classes are available immediately as private, in-home classes for you and your partner or beginning in January, as group classes! More information and a breakdown of the training is coming soon! Check out the description of the classes above, and go ahead and purchase your private in-home class today! Newer PostHappy 3rd Birthday, Tulsa Family Doulas!